December 2018: We’re delighted to report that Malokhat has now received her Tashkent residency permit, opening up the path to being able to travel abroad. With this permit, she will be able to apply for a travel permit, which if granted, will mean an end to the harassment she has endured for her work exposing forced labor in the cotton fields. Despite the Uzbek President and Prime Minister’s recent public statements meant to demonstrate progress on addressing forced labor, the Uzbek authorities imposed $1400 in fines on Malokhat in retaliation for raising complaints about forced labor. If they are not paid, all of her belongings may be confiscated and sold. In an attempt to clamp down on dissent, the authorities are using an antiquated registry permit system from Soviet times to threaten Malokhat with internal deportation from the capital region of Tashkent, where she lives with her family, to a remote region of the country. Malokhat’s work and voice to illuminate human rights violations in Uzbekistan’s cotton industry must not be silenced. We want the power of international solidarity to help Malokhat in the same way! Please join us in supporting her as she fights this harassment! We cannot allow the Uzbek authorities to persecute brave individuals like Malokhat to cover up its crimes! Stand up now to protect Malokhat and demand these baseless charges are dropped! September 2018: Malokhat needs you support whilst she seeks to get the restrictions placed on her lifted by Uzbekistan’s Supreme Court. Click here to read more about Malokhat’s case. May 2018: Freedom United’s Executive Director met with Malokhat in Tashkent. She explained that the protracted legal process to secure documentation required so that she can travel remains ongoing. Malokhat believes this is in retaliation for her human rights work. March 2018: Having paid her fines, and following legal intervention thanks to Freedom United supporters’ generous donations, Malokhat’s travel ban was lifted. However, she remains unable to secure an exit visa required to travel. She is considering appealing to the Supreme Court. February 2018: At the appeal hearing in late February the first court’s decision to deny her permanent residence registration was upheld. This registration is an arcane Soviet-era system which is required for permissions such as exiting the country. Many of the legal arguments presented in her appeal brought by lawyers funded by Freedom United supporters, were not considered by the court. January 2018: Malokhat was detained at Tashkent airport, Uzbekistan’s capital, on way to a labor rights seminar in Kyrgyzstan. She was invited to present on her work monitoring forced and child labor in Uzbekistan’s cotton harvest. Airport special services removed Malokhat from her flight and detained her in a security room until her flight departed. She was released shortly after. To further help we can also buy all our clothes fair trade. And ask our shops to only (or at least make a start) sell fair trade clothing. Better yet organic cotton for the environment and the health of the workers. Forced labour and children Labour are against international Human Rights. They mean no respect for children and adults who must go to school to learn a profession or to earn their money by a payd job. Forced labour is slavery and against the dignity of human beings! I visited Uzbekistan way back in 1971, when I was studying Russian. Went to a central market, where some soldiers asked where we came from. Our spoken Russian wasn’t so advanced, so we replied, “America.” We were then asked Brazilia? It made me realize that US citizens appropriate citizenship of the entire continent. We should all agree with the comments stated earlier to avoid the purchase of any cotton from this region where forced and/or child labor is used. Good luck to Malokhat. Thank you for raising the issue of forced labor in Uzbekistan’s cotton industry for the first time during your address at the United Nations General Assembly in September 2017. 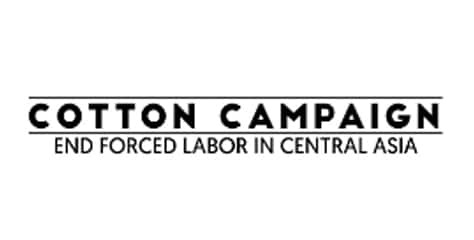 We commend the Uzbek government’s desire to reduce forced labor and end the mass mobilization of Uzbek citizens during the cotton harvest, including recent steps taken to recall students, educators and medical workers from the fields. But more must be done to ensure human rights activists like Malokhat Eshonkulova, working to monitor the situation on the ground, can do so freely without harassment or threat by authorities. Ms. Eshonkulova faces $1400 in fines having been charged with ‘unauthorized pickets’, as well as threat with deportation from her home in Tashkent using the registry permit system. 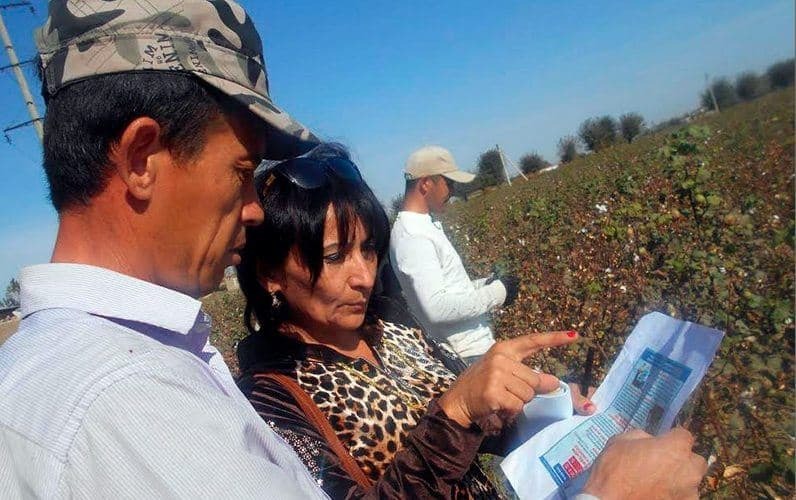 We believe that these legal proceedings are a ruse and that Ms. Eshonkulova is actually being harassed for her work monitoring and exposing forced and child labor in Uzbekistan’s cotton industry. Malokhat Eshonkulova’s work is critical to protecting the rights of all Uzbek citizens. The harassment of activists like Ms. Eshonkulova is a clear dereliction from the Uzbek government’s stated desire to reduce forced labor. We call on you and the Uzbek government to stop all legal proceedings against Ms. Eshonkulova so that she can continue her important work without fear of threat or retaliation.